In 2015, the European Union redesigned its enlargement policy to focus on the rule of law, public administration and civic rights. These “fundamentals” are required to meet the criteria of membership and constitute the preconditions for a sustainable modernization of the Western Balkan states. The European Commission has monitored the state of reforms on the basis of consultations with government officials and external observers. 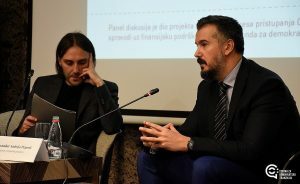 To involve civil society in this assessment and to provide better evidence for public debates, a Montenegrin think tank, the Center for Democratic Transition (CDT), has surveyed 41 experts and analyzed publicly available data. Drawing on the Commission’s new standardized assessment scales, CDT and I developed detailed questionnaires that assess the following areas: functioning of the judiciary; fight against corruption; fight against organized crime; media freedom; public administration reform; human rights. The results of these surveys are now published in two reports. A key finding of this research has been that there is still a significant gap in implementing the new regulations adopted during the preparation for EU accession. Executive actors retain informal influence on the work of the judiciary. The newly established corruption-prevention agency has not effectively supervised the finances of political parties. Media outlets struggle to survive under growing economic constraints and political pressures. The judiciary has failed to sustain convictions in several cases of organized crime. Discriminatory practices persist due to a lack of both effective anti-discrimination policies and societal awareness.